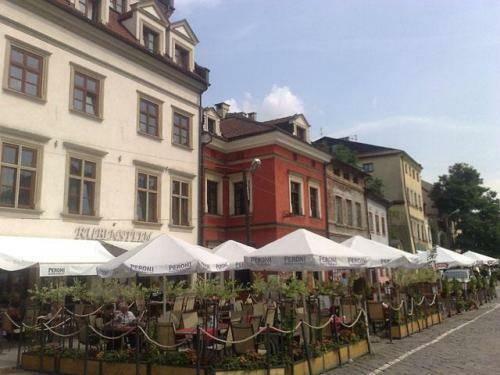 The attractive historical Hotel Wawel is located in Old Krakow. 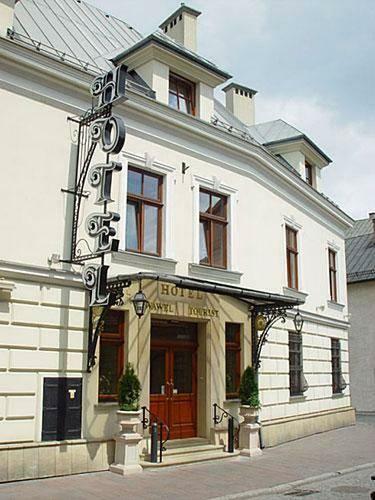 The hotel is open in an eye-catching 16th-century building that is a classic example of the modern style. In accordance with traditions of the past, guestrooms and public spaces of the hotel feature elegant furniture made of premium sorts of wood. Bathrooms are made of rare sorts of marble, and in some guest rooms there is beautiful mosaic in bathrooms. The historic hotel offers various amenities for its guests, including a beautiful garden and a spa salon where visitors are invited to relax in the high-class steam bath or enjoy relaxing massage sessions. 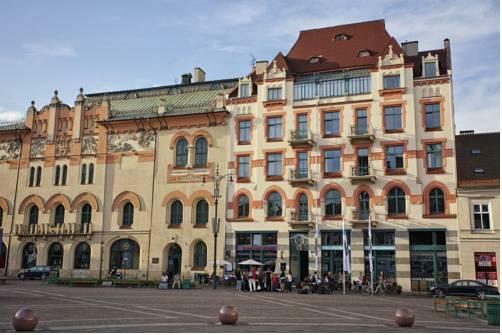 One of the most popular apartment hotels in Krakow, Antique Apartments Plac Szczepański is open in a beautiful building that dates back to the 19th century. Some of its rooms feature the original red brick walls that look particularly well in contrast with light wooden décor. All guestrooms feature big beds with plaids in the national style. In some guestrooms, walls are decorated with handmade carpets. The charming hotel is a paragon of a simple home-like style. 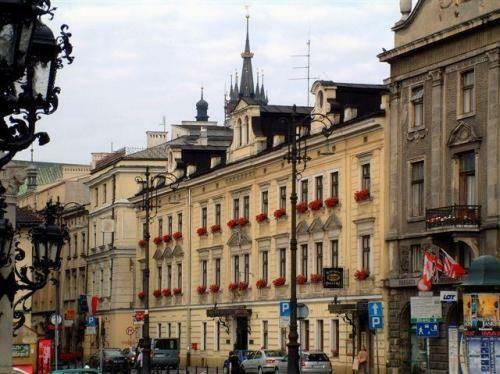 A stay in Antique Apartments Plac Szczepański is a wonderful way to see and feel how high-income locals lived hundreds of years ago. 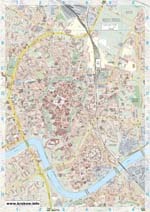 The opening of Pollera took place in 1834. The décor of its spacious guestrooms is made in best traditions of art-nouveau style. Dark colored wooden furniture, mauve and golden textiles, tiny vases with flower bouquets and elegant table lamps can be found in all guestrooms. The festive looking restaurant is the best place to get acquainted with the most popular dishes of the local cuisine. The restaurant’s hall is decorated with massive crystal chandeliers, paintings, and large mirrors. The high-class Rubinstein Residence is open in a unique 15th-century building. The original look of the building and its inner premises has been carefully preserved, so even nowadays travelers can see old stone walls and high arched ceilings that were made during the latest restoration in the 17th century. Spacious guestrooms have arched passages between the rooms and small niches that are decorated with vases with flower bouquets. The infrastructure of the magnificent historic hotel includes a modern fitness center. Don’t forget to get to the top of the building and relax on a wonderful terrace. 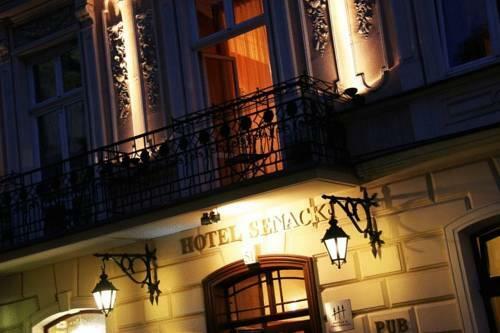 Hotel Senacki offers luxurious guestrooms with the view of the Church of Saints Peter and Paul. The décor of its guestrooms is made in light colors and features a creative combination of original elements and modern designer ideas. Guestrooms still have the original wooden beams and arched ceilings. Cream shaded walls only emphasize the beauty of the historical building. Antique furniture with modern black-and-white upholstery looks very stylish. In some guestrooms, carpets are also made in black-and-white color combination. Paintings of picturesque landscapes and images of old Krakow are a perfect addition to the overall historical atmosphere of the hotel. 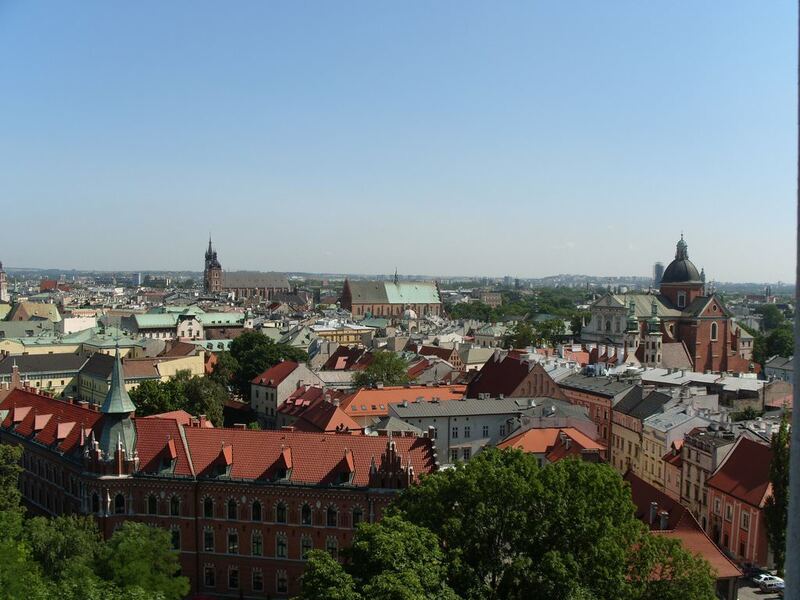 This guide to historical hotels of Krakow is protected by the copyright law. You can re-publish this content with mandatory attribution: direct and active hyperlink to www.orangesmile.com.